For links: Pakhol, B. Е. 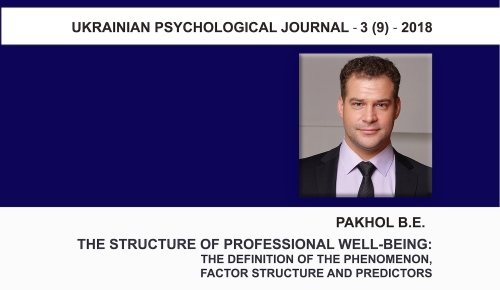 The structure of professional well–being: the definition of the phenomenon, factor structure and predictors / B. E. Pakhol // Ukrainian Psychological Journal : collection of scientific works / chief.red. I.V. Danilyuk : Taras Shevchenko National University of Ukraine. — K., 2018. — № 3(9). — P.121-135. «Examination of the dependent variable for normal distribution has shown that the Kolmogorov–Smirnov and Shapiro–Wilk statistics are significant (p<0,001), which in turn indicates not normal distribution of the dependent variable (PW), however, visual analysis of the distribution revealed excessive discreteness of the scale (PW) and with a decrease in the number of intervals to 7, the appearance of the distribution coincided with the normal one, which made it possible to use parametric methods for testing hypotheses». ABSTRACT. This article introduces the structure of the «professional well-being», based on empirical research data of representatives of various professions. Integrating the approaches and components of various models related to professional well-being, a broader definition of this phenomenon is presented. Based on the analysis of empirical indicators that measure individual-professional, individual-personal and organizational-contextual factors, two variants of factor models were distinguished that provide the most optimal ratio of the number of predictors and the explained percentage of total variance of the dependent variable. On the basis of predictors of these two models, an integral model of professional well-being is built, which explains 56 % of total variance of the dependent variable, which is a sufficient indicator of the semantic content adequacy of the new theoretical model. The study made it possible to talk about a more complex model of predictors of professional well-being than it was described earlier in the scientific literature. The essential importance of such factors as «flow at work», «job satisfaction», «professional motivation», «professional choice satisfaction», «meaningfulness of professional life», «professionalism and professional identity» as predictors of professional well-being. In addition, it is revealed that the «flow at work» is a special metacognitive phenomenon that cannot be reduced to «affect» or «personal qualities». It significantly distinguishes the model of professional well-being, based on empirical data, from models of eudaimonic and hedonistic well-being. It is also revealed that the predictors of professional well-being are consistent with different qualitative approaches to the study of professional well-being. This fact indicates the lack of ethical and philosophical dependence of the new model of professional well-being. Key words: professional well-being, occupational well-being, flow at work, work engagement, job satisfaction, professional identity, professional motivation, professional choice satisfaction, meaningfulness of professional life. У статті розкрито структуру професійного благополуччя, заснована на даних емпіричного дослідження представників різних професій. 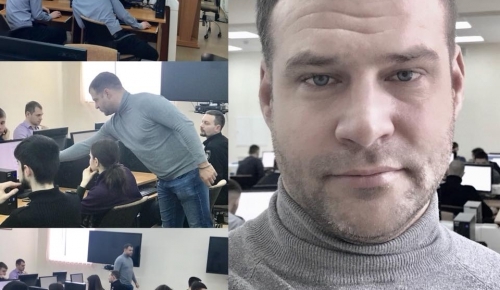 Інтегруючи підходи і компоненти різних моделей, пов’язаних з професійним благополуччям, представлено більш широке визначення даного феномена. На підставі аналізу емпіричних показників, що вимірюють індивідуально–професійні, індивідуально–особистісні та організаційно–контекстні чинники, було виділено 2 варіанти чинникових моделей, що дають найбільш оптимальне співвідношення кількості предикторів і відсотка поясненої дисперсії залежної змінної. На основі предикторів цих двох моделей побудована інтегральна модель професійного благополуччя, яка пояснює 56% дисперсії залежної змінної, що є достатнім показником змістовної адекватності нової теоретичної моделі. Дослідження дозволило говорити про більш складну модель предикторів професійного благополуччя, ніж це було описано раніше в науковій літературі. Відзначено найважливіше значення чинників «потік у професійній діяльності», «задоволеність організацією і умовами праці», «професійна мотивація», «задоволеність професійним вибором», «задоволеність професійним життям: осмисленість професійної діяльності», «оцінка професійної реалізації: майстерність і професійна ідентичність», як предикторів професійного благополуччя. Крім того, показано, що «потік у професійній діяльності», є особливим мета когнітивним феноменом, що не зводиться ні до афекту, ні до особистісних якостей, що істотно відрізняє модель професійного благополуччя, побудовану на емпіричних даних, від моделей евдемоніческого і гедоністичного благополуччя. 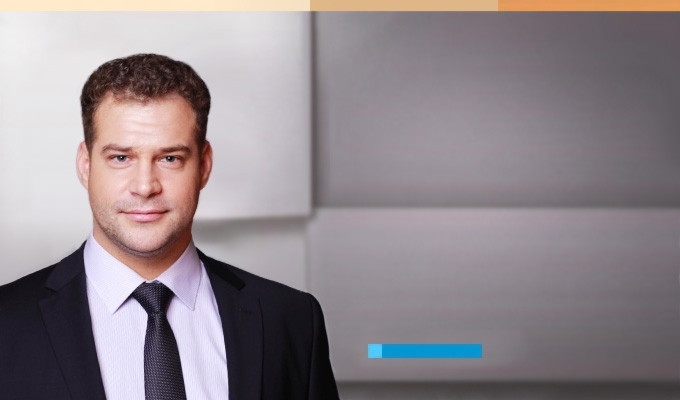 Виявлено, що предиктори професійного благополуччя узгоджені з різними підходами до вивчення професійного благополуччя, що свідчить про відсутність етико–філософської залежності нової моделі професійного благополуччя. Ключові слова: професійне благополуччя, потік у професійній діяльності, задоволеність працею, професійна ідентичність, професійна мотивація, задоволеність професійним вибором, задоволеність організацією і умовами праці, осмисленість професійної діяльності. Introduction. Despite the fact that the connection between the profession, health and emotional state was specified at the beginning of the 20th century as part of occupational therapy (C. E. Atwood, 1907, G. E. Barton, 1915; H. J. Hall, 1905; M. F. Driver, 1968), the phenomenon of «professional well–being», as a state of optimal positive functioning of a person in the context of his professional activity, is relatively new to psychological science, and its study is one of the topical subjects of modern psychological researches. Today, most theoretical models have range of limitations, primarily due to the narrow definition of professional well–being because of the differences in the approaches to the study of this phenomenon («occupational health», «job satisfaction», «quality of working life», «occupational well– being») and the lack of psychometric data reliability (irreproducibility of the majority of the author’s factor models). For example, the followers of «occupational health» consider professional well–being from the point of view of reducing negative mental states of workers (L. E. Tetrick and J. M. LaRocco, 1987; K. K. Smith, D. S. Kaminstein and R. J. Makadok’s, 1995; L. I. Wasserman, 1995; K. Danna and R. W. Griffin, 1999; V. L. Pankovets, 2004; C. Fritz and S. Sonnentag, 2006), however, reducing the level of stress and burnout does not necessarily lead to professional well–being (С. Ryff, 1995). Followers of the «job satisfaction» theory define professional well–being as state of personal satisfaction with the characteristics of his work (F. Herzberg, 1959; 1967; J. R. Hackman, G. R. Oldham, 1974; 1980; E. A. Locke, 1976; E. T. Higgins, 1987; R. C. Huseman, J. D. Hatfield & E. W. Mile, 1987; P. E. Spector, 1997; A. P. Brief, 1998). However, a purely situational approach «job satisfaction» does not take into account individual–professional (professional identity, flow, motivation) and individual–personal (optimism, locus control, self–efficacy) aspects of workers whose importance was noted by representatives of the eudamonistic approach to stady of well–being (С. Ryff, 1989; R. M. Ryan, E. L. Deci, 2000; W. B. Schaufeli; A. 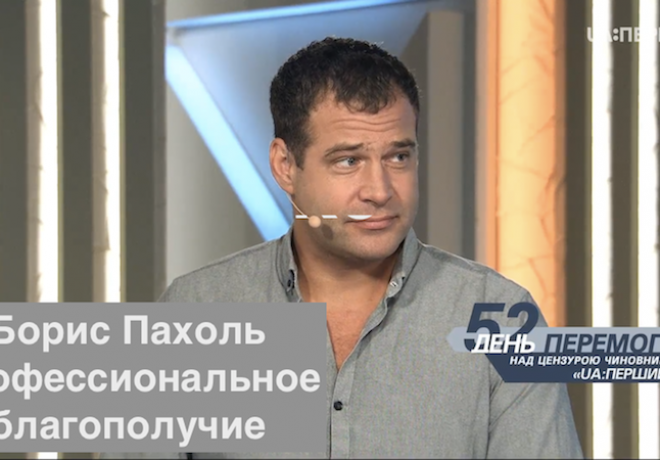 B. Bakker, 2001; D. A. Leontiev, 2000; F. Luthans, 2006; T. V. Danilchenko, 2017). An additional point is that the high degree of abstractness of the basic constructs of theories (the absence of an empirical dependent variable) makes it impossible to produce reliable and valid psychodiagnostic tools. Oftentimes, the dependent variable in researches is purely theoretical (abstract) in its core, being replaced by the measurement of some «generally accepted» factor (Job satisfaction, Affect Balance, Life satisfaction, etc.). 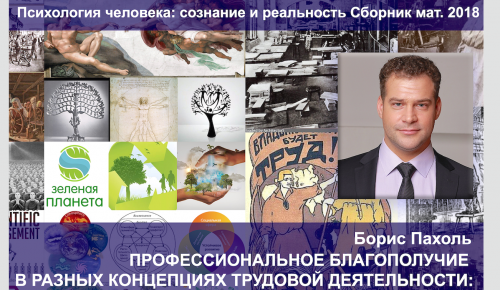 Thus, for example, in the framework of the multidimensional approach «occupational well–being», that combined the modernized versions of the models of «psychological well–being» (С. Ryff) and «subjective well–being» (E. Diener), in the context of professional activity (P. Warr, 1987, 1994; J. E. Van Horn; T. W. Taris; W. B. Schaufeli; P. J. G. Schreurs, 2004; Kelly R. Harkcom, 2014), the dependent variable has not been defined and empirically established. Exactly the same problem arose in A. Baldchun’s «ecological» model of professional well–being (A. Baldschun, 2014), which theoretically combined heterogeneous constructs: affective, social, cognitive, professional, personal and psychosomatic well–being. Particularly, the model of «professional well–being» of E. I. Ruth (2016) should be distinguished, that is an adaptation of the model of «psychological well–being» (C. Ryff) for the professional context, which gave a percentage of total variance of the dependent variable, explained by the regression model, that is not sufficient to build a theory of professional well–being dependent variable (R²=0,310) despite the presence of an empirical dependent variable. All the above–mentioned tells about the need and relevance of developing a modern theory of professional well–being that combines aspects of different approaches, based on an empirically derived dependent variable that has an optimal predictor model with a high percentage of total variance of the professional well–being, explained by the regression model, as well as taking into account the peculiarities of the influence on the professional well–being of individual–professional, individual–personal and organizational–contextual factors. The aim of the study is to identify the optimal model of predictors of professional well–being among representatives of various professional communities. The presentation of the main material. We have chosen the definition of professional well–being as widely as possible covering all phenomena that are potentially similar in the respondents’ minds with professional well–being as a tentative definition: professional well–being is an integral indicator of state of positive psychological functioning of a person in the context of his professional activity, associated with the subjective assessment of various dimensions of professional life (predictors of professional well–being). Professional well–being has multidimensional, hierarchical and dynamic (depending on the professional context) structure of predictors, associated with the influence of individual–professional, individual–personal and organizational–contextual components. Method. 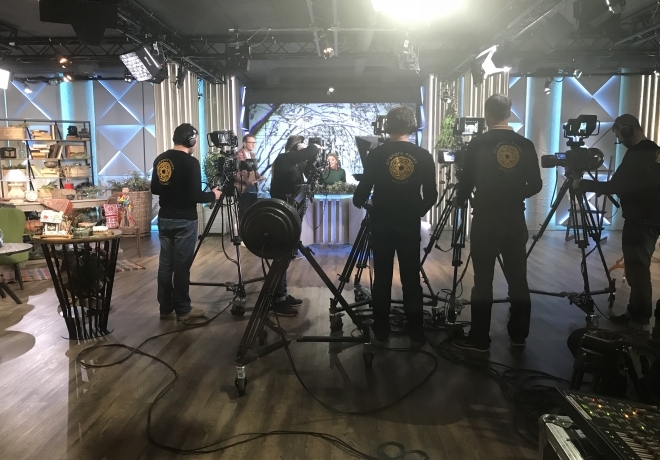 Empirical research was being conducted during six months in Ukraine in 2018. Representatives of various professional groups from public and private companies took part in the standardized psychological testing: in grand total there were 440 respondents (n = 213 men [48.4%] vs. n = 227 women [51.6%]) of various professions. The general experience of professional activity of these people ranged from 2 to 31 years; age – from 22 to 50 years. Statistical data processing was performed using the IBM SPSS Statistics 23 software application. Diagnostics of the psychological climate in a small production group (V. V. Shpalinsky, E. G. Shelest, 2002). In addition, a participant questionnaire was created, which included various questions related to the socio–demographic characteristics of the respondents and the direct question of self–assessment of the current level of professional well–being (potential dependent variable of research). Рrocedure. The dependent variable of the research was obtained on the basis of the respondents’ answers for a direct question about the level of their professional well–being. This question in the survey was asked to respondents twice (with a considerable time interval). The strong direct correlation of two variables associated with a direct subjective assessment of professional well–being (r=0,819, (2–tailed) p<0,01) not only indicates the unity and sustainability of the studied phenomenon «professional well–being» in the concious of respondents, but also made it possible to merge both variables into one and get a more reliable dependent variable of «Professional well–being» (PW) for our research. Examination of the dependent variable for normal distribution has shown that the Kolmogorov–Smirnov and Shapiro–Wilk statistics are significant (p<0,001), which in turn indicates not normal distribution of the dependent variable (PW), however, visual analysis of the distribution revealed excessive discreteness of the scale (PW) and with a decrease in the number of intervals to 7, the appearance of the distribution coincided with the normal one, which made it possible to use parametric methods for testing hypotheses. As a result of the correlation analysis of 520 variables with the dependent variable (PW), 121 variables were identified with medium and strong (r>0,3) correlation and 46 variables with relatively strong (r>0,4) correlation with the dependent variable. Correlation analysis between the 46 and 121 variables showed non–uniformity of the correlation coefficients, which indicated the presence of a complex factor structure, for the detection of which 46 variables factor analysis was first carried out (r>0,4; (2–tailed); p<0,01), and then the 121 variables (r>0,3; (2–tailed); p<0,01). Factor analysis of 46 variables with r>0,4. For the purpose of highlighting the factors, the «Maximum Likelihood Estimation» method was used with the non–orthogonal rotation «Oblimin». The number of factors for the selection was determined during a sequential procedure. Based on the visual analysis of the chart «The eigenvalues of a graph» of 46 variables, and also taking into consideration the Kaiser criterion (the eigenvalue of the factor > 1), it was originally decided to build up the 8 factor structure. The first factor is «Professional motivation», with a factor loading > 0,3, included 8 variables. It reflects the extent to which, according to the respondent, his professional activity is a means of realizing important motives for him: getting pleasure, practicing favorite and interesting work, personal values realizing, career plans, personal developing, life goals achieving. The second factor is «Flow at work», with a factor loading > 0,3, that includes 11 variables. It reflects the degree of professional involvement and experience of the flow of respondents associated with their professional activities. The third factor, «Job satisfaction», with a factor loading > 0,3, includes 3 variables, which reflects the respondents’ satisfaction with the organization in which they work, the working conditions (job characteristics) and the quality of management. The fourth factor is «Satisfaction with professional choice», with a factor loading > 0,3, that includes 4 variables. It reflects the degree of satisfaction of respondents with the choice of their profession: compliance of the profession with the vocation and other personal characteristics of the person. The fifth factor, «Job process & content satisfaction», with a factor loading > 0,3, includes 5 variables. This factor reflects the respondents’ satisfaction with the process and content of professional activity. The sixth factor is «Professionalism and professional identity», which has a factor loading > 0,3 and includes 11 variables. This factor reflects the respondents’ assessment of their own professional realization, degree of mastery and integration into the professional community. Regression analysis (6F Model) of professional well–being using the step–by–step method of selecting the best model showed a model of 5 predictors with R²=0,531 (Figure 1). 6F Model: 5 predictors (R2=0,531) Unstandardized coefficients Standardized coefficients t Sig. Despite the fact that the variables included in the 6F Model have strong correlations (r> 0,4) with the dependent variable, the predictor model created on their basis is not enough to explain the main part of the variance of the dependent variable, moreover, the non–uniformity of the Beta coefficients doesn’t mean balance of the model. Factoring of more variables may give a more interesting semantic picture. Factor analysis of 121 variables with r>0,3. Due to the heterogeneity of the correlation coefficients of the 121 variables (with medium and strong correlation (r> 0,3) to the dependent variable), we decided to use factor analysis to identify factors and subsequent regression analysis that are based on them and to select the best model of predictors of the dependent variable. The method of «maximum likelihood» was used with non–orthogonal rotation of «oblimin». The number of factors was determined during a sequential procedure. For a more optimal selection of the factor model, which gives the largest percentage (R²) of the explained variance of the dependent variable (PW), regression models of predictors were constructed for various factor decisions (from 2 to 11 factors). As a result of data comparison, it was determined that 8 and 11 factor models have the optimal ratio of the number of predictors and the percentage of explained variance of the dependent variable (8F Model: 5 predictors R² = 0,552 and 11F Model: 6 predictors R² = 0,561). Building a model with a number of factors greater than 7 (+ –2) will be inconvenient for practical use, so the decision was made to establish the limit of 8–factor structure as this one meets all the above–mentioned requirements. The first factor is «Professional Identity», with a factor loading > 0,3. It contains 7 variables and reflects the respondents’ assessment of the degree of their similarity (identity) with the ideal representative of their professional community: the presence of the necessary professional qualities, the value of the profession and its results, the degree of relevance, usefulness and importance for society of their own professional activity. The second factor is «Flow at work», with a factor loading> 0,3 and it includes 17 variables reflecting the degree of professional involvement and the experience of the flow associated with respondents’ professional activities. The third factor, «Meaningfulness of professional life» includes 7 variables with a factor loading> 0,3 and it includes an assessment of the degree of positivity of your attitude related to professional activity: meaningfulness and purposefulness, optimistic attitude to work and a sense of pleasure from the process professional activity, fullness of life with interesting things. The fourth factor, «Job satisfaction», with a factor loading > 0,3, includes 11 variables. This factor reflects the respondents’ satisfaction with the organization where they work, working conditions, payment, staff and quality management. The fifth factor, «Dissatisfaction with professional choice» includes 21 variables with a factor loading > 0,3 and reflects the respondents’ assessment of the profession’s compliance with their personal characteristics: character and abilities. The sixth factor is «Professional demandness: recognition of relatives and colleagues» R (inversed scale), with a factor loading > 0,3 includes 19 variables. It reflects the respondents’ assessment of their own authority and recognition among their work colleagues and close people, as well as a sense of professional relevance and usefulness for other people. The seventh factor is «Openness to experience: aspirations for professional development» and it includes 16 variables with a factor loading > 0,3, that reflect the respondents’ assessment of their own aspirations for professional development, openness to new things in the professional sphere. The eighth factor is «Professional motivation» R (inversed scale), with a factor loading > 0,3, and it includes 10 variables. 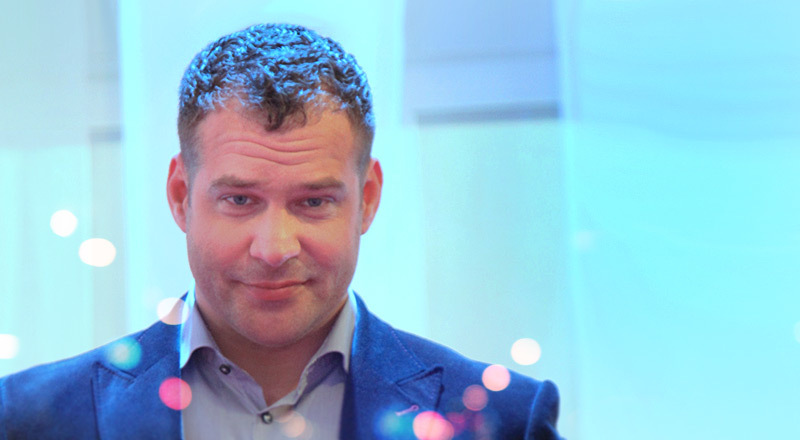 It reflects the extent to which, according to the respondent, his professional activity is a means of realizing important motives for him: getting pleasure, favorite and interesting work practicing, personal values realizing, career plans, personal developing, life goals achieving. To check the distinguishability of 8 factors, an inter–factor correlation analysis was made (Figure 2). All factors have weak and medium correlation among themselves, which indicates that these factors are well distinguishable for respondents. Factors No.5, No.6 and No.8 have an inverse correlation, which is consistent with their meaning. Regression analysis (8F Model) of professional well–being using a step–by–step method of selecting the best model of predictors of the dependent variable gave a model with 5 predictors and with a percentage of explained of variance of the dependent variable (R² = 0,552), sufficient to build a complete theoretical model of professional well–being (Figure 3). Model: 5 predictors (R²=0,552) Unstandardized coefficients Standardized coefficients t Sig. This model of predictors of professional well–being has a high grade of R² ratio, which explains the general part (55%) of the variance of the dependent variable, and has a more even distribution of the Beta coefficients than the previous model (6F Model), which indicates a greater semantic balance of the predictors on Based on 8F Model. Results. As a result of comparison of two models of predictors of professional well–being, the 8F model appeared to be slightly better, since it has a higher grade of R² ratio (6F Model: 5 predictors with R²=0,531 and 8F Model: 5 predictors with R²=0,552). However, if the 3 predictors of both models can be described as identical (inter–factorial correlations: «Professional motivation» (r=0,938), «Flow at work» (r=0,859) and «Job Satisfaction» (r=0,901)), then the remaining four predictors have significant semantic differences. Regression analysis of 8 factors from 8F model and 3 factors from 6F Model (F4 – «Satisfaction with professional choice», F5 – «Job Satisfaction» and F6 – «Professionalism and professional identity»), using the step–by–step method of selecting the best model of the predictors of the dependent variable, gaves a model with 6 predictors of professional well–being with a high R² (R² = 0,559) (Figure 4). Model: 6 predictors R²= 0,559 Unstandardized coefficients Standardized coefficients t Sig. The resulting model explains 56% of the variance of the dependent variable, which is a good result indicating the substantial adequacy of the new model, and the uniform distribution of the Beta coefficient, indicates the quality of the choice of the factors structure and the semantic balance of predictors of the dependent variable (professional well–being). Besides, the criterion validity of new predictors is confirmed by strong, often to a degree of confusion in the minds of respondents, correlations with factors and global indicators of various techniques included in the research pool. As a result of processing the obtained data, the working definition of professional well–being was corrected: professional well–being is an integral indicator of state of positive psychological functioning of a person in the context of his professional activity, associated with the subjective assessment of various dimensions of professional life (predictors of professional well–being): flow at work; job satisfaction; professional motivation; dissatisfaction with professional choice (compliance of the profession with the character and abilities of the person); meaningfulness of professional life; professionalism and professional identity. Discussion. Correlation analysis confirms a strong direct relationship (r = 0,510) between the dependent variable of our investigation and the general indicator of professional well–being according to the model (PWQ: Е. I. Ruth, 2016). Nevertheless, these two constructs are not identical. Based on our data, the model of the predictors created on the basis of factors according to the model (PWQ: Е. I. Ruth, 2016) provides only 31% explanation of the variance of the dependent variable, which is clearly not enough to build a semantically complete model of the professional well–being. 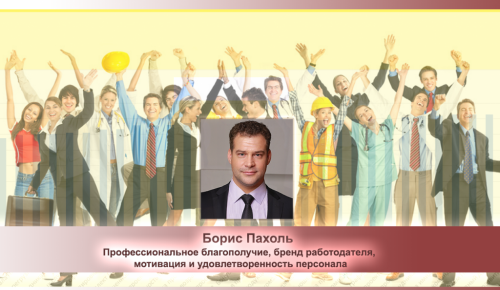 Furthermore, in our model, there is an emphasis on the importance of the organizational–contextual factor «Job satisfaction» one aspect of which is «Positive relations with colleagues» (one of the factors of the model (PWQ: Е. I. Ruth, 2016)). However, the semantic content of these factors is also significantly different. The difference is significant, as in the model of E. I. Ruth, as well as in the model of C. Ryff, certain personality traits were studied as predictors of «psychological well–being», but when it comes to the professional sphere, so–called «psychological contract» takes effect (C. Argyris 1960, D. M. Rousseau 1989, J. Coyle–Shapiro 2008) – an implicit system of mutual expectations and perceptions between an employee and an employer. This means that when assessing professional well–being, it is necessary to take into account not only the internal organization of the individual, but also the external conditions: organization and working conditions. Separately, we highlight the factor of «Flow at work», which is present in our model as a predictor of professional well–being and absent in the model E. I. Ruth. In addition, the factor «autonomy in professional activity», taken from the E. I. Ruth model, has a negative Beta indicator (–0,108) on our data, that indicates its feedback with professional well–being. This situation requires a significant reworking of the concept of «autonomy in professional activities». Otherwise, you’ll get the image of a professional ignoring of professional standards, opinions and recommendations of colleagues, as it happened in the method described by E. I. Ruth. Almost all models associated with the «Job satisfaction» approach (Vroom, 1964; Hackman & Oldham, 1975, 1980, 1991; Karasek et al., 1998; Campion & McClelland, 1991; P. E. Spector, 1997; F. P. Morgeson, S. E. Humphrey, 2006) proceed from the premise that it is organizational–contextual factors that determine behavior and motivation, and do not take into account individual–professional and individual–personal factors. Our data do not confirm the assumption expressed by R. M. Shamionov (2008) of the adequacy of the concept «job satisfaction» as an integrative indicator reflecting the well–being of an individual in professional labor activities for the operationalization of professional well–being. On our data, the factor «job satisfaction» is similar to the degree of confusion in its content (inter–factorial correlation: r = 0,851; r = 0,891) with the general indicator «job satisfaction» from the model «Job Satisfaction Questionnaire» by T. Ivanova (2012), turned out to be one of 5 significant predictors of professional well–being, which suggests that the construct «professional well–being» is a metacontext for the construct «job satisfaction». There are some similarities between the two–component (cognitive component: Life satisfaction and emotional component: Affect balance) of the «subjective well–being» model (E. Diener, 2009) with the 2–factor model of our study (F1 – «Professional satisfaction»; F2 – «Flow at work»). However, unlike the model of «subjective well–being» (E. Diener, 2009), the «Flow at work» factor is an independent metacognitive, not an emotional, phenomenon. There is another significant difference: T. Ivanova considers «work engagement» (UWES: W. B. Schaufeli, A. B. Bakker, 2003) either as one of the aspects of «job satisfaction» (satisfaction with the process or the content of the work activity), or as its emotional consequence. However, the predictor «Flow at work», which is similar to the degree of confusion with the components of UWES (W. B. Schaufeli, A. B. Bakker, 2003), and also «Job satisfaction», turned out to be independent factors identified in the simplest factor models and retaining their stability at high levels of factorization, which indicates a good differentiation in the minds of respondents of these phenomena and puts them on one level of hierarchy. Conclusion. On the basis of the results of an empirical study of professional well–being, we can draw the following conclusions. Professional well–being is not reducible to «job satisfaction» or a specific set of «personal qualities» and includes not only organizational–contextual and individual–personal, but also individual–professional components (flow at work, professional motivation, satisfaction with professional choice). Comparative analysis showed similarities of 8 and 6 factor predictor models (6F model: 5 predictors with R² = 0,531 and 8F model: 5 predictors with R² = 0,552), however, the second model has a higher percentage of explained of variance of the dependent variable, and the integral the model based on the predictors of these two models explains 56% of the variance of professional well–being, which is a sufficient indicator of the semantic adequacy of the theoretical model. Both models are united by the fact that they showed the importance of 3 key predictors of professional well–being: «flow at work», «professional motivation», «job satisfaction». A special metacognitive phenomenon is the «flow at work», which cannot be reduced to affect or personal qualities, which significantly distinguishes the model based on our data from the models of eudaimonic and hedonistic well–being. In general, the model we have obtained reflects quite well the whole diversity of phenomena integrated into the concept of «professional well–being», and the predictors of the new model are well coordinated with various approaches to the study of professional well–being. The prospect of further research is the formation of a questionnaire of professional well–being, as well as the study of the structure and dynamics of changes in each of the predictors of professional well–being, depending on the specific professional context. Иванова Т. Ю. Структура и диагностика удовлетворенности трудом : разработка и апробация методики / Т. Ю. Иванова, Е. И. Рассказова, Е. Н. Осин // Организационная психология. – 2012. – Т. 2. – № 3. – С. 2–15. Pakhol B. E. Professional well–being an overview of key concepts and scientific research of the phenomenon / B. E. Pakhol // Український психологічний журнал : збірник наукових праць / головн. ред. І. В. Данилюк : КНУ імені Тараса Шевченка. – К., 2017. – No 2 (4). – 107–140с. Diener E. Subjective well–being : The science of happiness and life satisfaction / E. Diener, R. Lucas, S. Oishi, [In C. R. Snyder & S. J. Lopez (Eds.)] // The handbook of positive psychology. – New York : Oxford University Press, 2002. – 63–73. Ryff C. D. Psychological well–being: Meaning, measurement, and implications for psychotherapy research / C. D. Ryff, B. Singer // Psychotherapy and Psychosomatics. – 1996. – № 65. – P. 14–23. Schaufeli W. B. Utrecht Work Engagement Scale : Preliminary Manual / W. B. Schaufeli, A. B. Bakker // Department of Psychology. – The Netherlands : Utrecht University, 2003. – 58 p.
This article introduces the structure of the «professional well–being», based on empirical research data of representatives of various professions. Integrating the approaches and components of various models related to professional well–being, a broader definition of this phenomenon is presented. Based on the analysis of empirical indicators that measure individual–professional, individual–personal and organizational–contextual factors, two variants of factor models were distinguished that provide the most optimal ratio of the number of predictors and the explained percentage of total variance of the dependent variable. On the basis of predictors of these two models, an integral model of professional well–being is built, which explains 56% of total variance of the dependent variable, which is a sufficient indicator of the semantic content adequacy of the new theoretical model. The study made it possible to talk about a more complex model of predictors of professional well–being than it was described earlier in the scientific literature. The essential importance of such factors as «flow at work», «job satisfaction», «professional motivation», «professional choice satisfaction», «meaningfulness of professional life», «professionalism and professional identity» as predictors of professional well–being. In addition, it is revealed that the «flow at work» is a special metacognitive phenomenon that cannot be reduced to «affect» or «personal qualities». It significantly distinguishes the model of professional well–being, based on empirical data, from models of eudaimonic and hedonistic well–being. It is also revealed that the predictors of professional well–being are consistent with different qualitative approaches to the study of professional well–being. This fact indicates the lack of ethical and philosophical dependence of the new model of professional well–being. Key words: professional well–being, occupational well–being, flow at work, work engagement, job satisfaction, professional identity, professional motivation, professional choice satisfaction, meaningfulness of professional life. В статье раскрыта структура профессионального благополучия, основанная на данных эмпирического исследования представителей различных профессий. Интегрируя подходы и компоненты различных моделей, связанных с профессиональным благополучием, представлено более широкое определение данного феномена. На основании анализа эмпирических показателей, измеряющих индивидуально–профессиональные, индивидуально–личностные и организационно–контекстные факторы, было выделено 2 варианта факторных моделей, дающих наиболее оптимальное соотношение количества предикторов и процента объясненной дисперсии зависимой переменной. На основе предикторов этих двух моделей построена интегральная модель профессионального благополучия, которая объясняет 56% дисперсии зависимой переменной, что является достаточным показателем содержательной адекватности новой теоретической модели. Исследование позволило говорить о более сложной модели предикторов профессионального благополучия, чем это было описано ранее в научной литературе. Отмечено важнейшее значение факторов «поток в профессиональной деятельности», «удовлетворенность организацией и условиями труда», «профессиональная мотивация», «удовлетворенность профессиональным выбором», «удовлетворенность профессиональной жизнью: осмысленность профессиональной деятельности», «оценка профессиональной реализации: мастерство и профессиональная идентичность», как предикторов профессионального благополучия. Кроме того, показано, что «поток в профессиональной деятельности», является особым мета когнитивным феноменом, не сводимым ни к аффекту, ни к личностным качествам, что существенно отличает модель профессионального благополучия, построенную на эмпирических данных, от моделей эвдемонического и гедонистического благополучия. Выявлено, что предикторы профессионального благополучия согласованы с различными подходами к изучению профессионального благополучия, что свидетельствует об отсутствии этико–философской зависимости новой модели профессионального благополучия. Ключевые слова: профессиональное благополучие, поток в профессиональной деятельности, удовлетворенность трудом, профессиональная идентичность, профессиональная мотивация, удовлетворенность профессиональным выбором, удовлетворенность организацией и условиями труда, осмысленность профессиональной деятельности. Вступление. Несмотря на то, что связь между профессией, здоровьем и эмоциональным состоянием была установлена еще в начале 20–го века в рамках трудотерапии (C. E. Atwood, 1907, G. E. Barton, 1915; H. J. Hall, 1905; M. F. Driver, 1968), феномен «профессионального благополучия», как состояния оптимального позитивного функционирования человека в контексте его профессиональной деятельности, является относительно новым для психологической науки, а его изучение – одной из актуальных тем современных психологических исследований. Сегодня большинство теоретических моделей имеет ряд ограничений, связанных, прежде всего, с узостью определений профессионального благополучия в связи с различиями в подходах к изучению данного феномена («occupational health», «job satisfaction», «quality of working life», «occupational well–being») и отсутствием психометрической надежности данных (невоспроизводимость большинства авторских факторных моделей). Так например, сторонники направления «occupational health» рассматривают профессиональное благополучие в направлении уменьшения негативных психических состояний работников (L. E. Tetrick and J. M. LaRocco, 1987; K. K. Smith, D. S. Kaminstein and R. J. Makadok’s, 1995; Л. И. Вассерман, 1995; K. Danna and R. W. Griffin, 1999; В. Л. Паньковець, 2004; C. Fritz and S. Sonnentag, 2006), однако уменьшение стресса и выгорания не обязательно приводит к профессиональному благополучию (С. Ryff, 1995). Последователи теории «job satisfaction» определяют профессиональное благополучие как удовлетворенность личности характеристиками ее работы (F. Herzberg, 1959; 1967; J. R. Hackman, G. R. Oldham, 1974; 1980; E. A. Locke, 1976; E. T. Higgins, 1987; R. C. Huseman, J. D. Hatfield & E. W. Mile, 1987; P. E. Spector, 1997; A. P. Brief, 1998). Однако, чисто ситуационный подход «job satisfaction» не учитывает индивидуально–профессиональные (профессиональная идентичность, востребованность, мотивация) и индивидуально–личностные (оптимизм, локус–контроля, самоэффективность) аспекты работников, значимость которых была отмечена представителями эвдемонистического подхода к благополучию (С. Ryff, 1989; R. M. Ryan, E. L. Deci, 2000; W. B. Schaufeli; A. B. Bakker, 2001; Д. А. Леонтьев, 2000; F. Luthans, 2006; Т. В. Данильченко, 2017). Кроме того, высокая степень абстрактности основных конструктов теорий (отсутствие эмпирической зависимой переменной) делает невозможным появление надежного и валидного психодиагностического инструментария. Зачастую в исследованиях зависимая переменная носит чисто теоретический (абстрактный) характер, подменяясь измерением какого–либо «общепризнанного» фактора (удовлетворенность работой, баланс аффекта, удовлетворенность жизнью и т.д.). Так например, в рамках многомерного подхода «occupational well–being», объединившего модернизированные варианты моделей «психологического благополучия» (С. Ryff) и субъективного благополучия (Е. Diener), в контексте профессиональной деятельности (P. Warr, 1987, 1994; J. E. Van Horn; T. W. Taris; W. B. Schaufeli; P. J. G. Schreurs, 2004; Kelly R. Harkcom, 2014), зависимая переменная так и не была определена и эмпирически установлена. Точно такая же проблема возникла и в «экологической» модели профессионального благополучия А. Балдчуна (А. Baldschun, 2014), чисто теоретически соединившей в себе разнородные конструкты: affective, social, cognitive, professional, personal and psychosomatic well–being. Отдельно выделим модель «профессионального благополучия» Е. И. Рут (2016), являющейся адаптацией модели «психологического благополучия» (С. Ryff) для профессионального контекста, которая, несмотря на наличие эмпирической зависимой переменной, дала недостаточный для построения теории профессионального благополучия процент объяснения дисперсии зависимой переменной (R²=0,310). Все вышесказанное говорит о необходимости и актуальности разработки современной теории профессионального благополучия, сочетающей в себе аспекты различных подходов, основанной на эмпирически полученной зависимой переменной, имеющей оптимальную модель предикторов, имеющих высокий процент объяснения дисперсии профессионального благополучия, а также учитывающей особенности влияния на профессиональное благополучие индивидуально–профессиональных, индивидуально–личностных и организационно–контекстных факторов. Целью исследования является выявление оптимальной модели предикторов профессионального благополучия у представителей различных профессиональных сообществ. Изложение основного материала. В качестве рабочего определения нами выбрано определение профессионального благополучия максимально широко охватывающее все феномены потенциально схожие в сознании респондентов с профессиональным благополучием: профессиональное благополучие – интегральный показатель состояния позитивного психологического функционирования человека в профессиональной сфере, связанный с субъективной оценкой различных измерений профессиональной жизни (предикторы профессионального благополучия), имеющий многомерную, иерархическую и динамическую, в зависимости от профессионального контекста, структуру предикторов, связанную с влиянием индивидуально–профессиональных, индивидуально–личностных и организационно–контекстных составляющих. Метод. Эмпирическое исследование проводилось в 2018 году в течении 6 месяцев в Украине. В стандартизированном психологическом тестировании приняли участие представители различных профессиональных групп из государственных и частных компаний: всего 440 респондентов (n=213 men [48,4%] vs. n=227 women [51,6%]) различных профессий. Общий стаж профессиональной деятельности которых составил от 2 до 31 года, возраст – от 22 до 50 лет. Статистическая обработка данных производилась с помощью программного комплекса IBM SPSS Statistics 23. Диагностика психологического климатав малой производственной группе (В. В. Шпалинский, Э. Г. Шелест, 2002). Кроме этого, создана анкета участника, в которую вошли различные вопросы, связанные с социально–демографическими характеристиками респондентов и прямой вопрос о самооценке текущего уровня профессионального благополучия (потенциальная зависимая переменная исследования). Процедура. Зависимая переменная исследования была получена на основе ответов респондентов на прямой вопрос об уровне их профессионального благополучия. Данный вопрос в исследовании респондентам задавался дважды (со значительным временным интервалом). Сильная прямая корреляция двух переменных связанных с прямой субъективной оценкой профессионального благополучия (r=0,819, (2–tailed) p<0,01) не только говорит о единстве и устойчивости изучаемого феномена «профессиональное благополучие» в сознании респондентов, но и дало возможность слить обе переменные в одну и получить более надежную зависимую переменную «Профессиональное благополучие» (PW) для нашего исследования. Проверка зависимой переменной на нормальность распределения показала, что статистика Колмогорова–Смирнова и Шапиро–Уилка значимы (p<0,001), что в свою очередь, свидетельствует о не нормальности распределения значений зависимой переменной (PW), однако при визуальном изучении распределения выявлена чрезмерная дискретность шкалы (PW) и при уменьшении количества интервалов до 7-ми внешний вид распределения совпадает с нормальным, что дает возможность использовать параметрические методы проверки гипотез. Корреляционный анализ 520 пунктов с зависимой переменной. В результате корреляционного анализа 520 пунктов с зависимой переменной (PW), был выделен 121 пункт со средней и сильной (r>0,3) и 46 пунктов с относительно сильной (r>0,4) корреляцией с зависимой переменной. Корреляционный анализ между 46–ю и между 121–м пунктом показал неоднородность корреляционных коэффициентов, что указывало на наличие сложной факторной структуры, для обнаружения которой сперва был проведен факторный анализ 46–ти пунктов (r>0,4; двухсторонняя корреляция p<0,01), а затем и 121–го пункта (r>0,3; двухсторонняя корреляция p<0,01). Факторный анализ 46 пунктов с r>0,4. Для выделения факторов был использован метод «максимального правдоподобия» с неортогональным вращением «облимин». Количество факторов для выделения определялось в ходе последовательной процедуры. Основываясь на визуальном анализе диаграммы осыпи (на графике собственных значений) 46 переменных, а также опираясь на критерий Кайзера (собственное значение фактора >1), первоначально было принято решение построить 8–ми факторную структуру. Первый фактор «Профессиональная мотивация», в него с факторной нагрузкой >0,3 вошло 8 пунктов. Он отражает то, насколько по мнению респондента его профессиональная деятельность является средством реализации значимых для него мотивов: получения удовольствия, занятия любимым и интересным делом, реализации личных ценностей, карьерных планов, развитию личности, достижению жизненных целей. Второй фактор «Поток в профессиональной деятельности», в него с факторной нагрузкой >0,3 входят 11 пунктов. Он отражает степень профессиональной вовлеченности и переживания потока респондентов, связанного с их профессиональной деятельностью. Третий фактор «Удовлетворенность организацией и условиями труда», в него с факторной нагрузкой >0,3 входят 3 пункта, которые отражают удовлетворенность респондентов организацией в которой они работают, условиями труда и качеством менеджмента. Четвертый фактор «Удовлетворенность профессиональным выбором», в него с факторной нагрузкой >0,3 входят 4 пункта. Он отражает степень удовлетворенность респондентов выбором своей профессии: соответствие профессии призванию и другим личностным особенностям человека. Пятый фактор «Удовлетворенность процессом и содержанием работы», в него с факторной нагрузкой >0,3 входят 5 пунктов. Данный фактор отражает удовлетворенность респондентов процессом и содержанием профессиональной деятельности. Шестой фактор «Оценка профессиональной реализации: мастерство и профессиональная индентичность» – в него с факторной нагрузкой >0,3 входят 11 пунктов. Данный фактор отражает оценку респондентов собственной профессиональной реализации, степени мастерства и интегрированности в профессиональное сообщество. Регрессионный анализ (6F Model) профессионального благополучия с использованием пошагового метода отбора лучшей модели, показал модель из 5–ти предикторов с R²=0,531 (табл. 1). Несмотря на то, что пункты, вошедшие в 6F Model имеют сильные корреляции (r>0,4) с зависимой переменной, созданной на их основе модели предикторов не достаточно для объяснения основной части дисперсии зависимой переменной, кроме того неравномерность Бета– коэффициентов, говорит о содержательной несбалансированности модели. Факторизация большего количества пунктов может дать более интересную смысловую картину. Факторный анализ 121 пункта с r>0,3. В связи с неоднородностью корреляционных коэффициентов 121–го пункта (со средними и высокими корреляционными коэффициентами (r>0,3) в отношении зависимой переменной) мы использовали факторный анализ с целью выделения факторов и последующего регрессионного анализа на их основе и отбора лучшей модели предикторов зависимой переменной. Использовался метод «максимального правдоподобия» с неортогональным вращением «облимин». Количество факторов определялось в ходе последовательной процедуры. Для более оптимально подбора факторной модели, дающей наибольший процент (R²) объясненной дисперсии зависимой переменной (PW), были построены регрессионные модели предикторов для различных факторных решений (от 2–х до 11 факторов). В результате сопоставления данных было установлено, что 8 и 11 факторные модели имеют оптимальное соотношение количества предикторов и процента объясненной дисперсии зависимой переменной (8F Model: 5 предикторов R²=0,552 и 11F Model: 6 предикторов R²=0,561). Построение модели с количеством факторов большим чем 7 (+–2) будет неудобным для практического применения, поэтому решено ограничиться 8–ми факторной структурой как наиболее отвечающей вышеперечисленным требованиям. Первый фактор «Профессиональная идентичность», в него с факторной нагрузкой >0,3 входят 7 пунктов. Он отражает оценку респондентами степени собственной схожести (тождественности) с идеальным представителем своего профессионального сообщества: наличие необходимых профессиональных качеств, ценности профессии и ее результатов, степени востребованности, полезности и важности для общества собственной профессиональной деятельности. Второй фактор «Поток в профессиональной деятельности», в него с факторной нагрузкой >0,3 входят 17 пунктов отражающих степень профессиональной вовлеченности и переживания потока респондентов связанного с их профессиональной деятельностью. Третий фактор «Удовлетворенность профессиональной жизнью: осмысленность профессиональной деятельности», в него с факторной нагрузкой >0,3 входят 7 пунктов и включает оценку степени позитивности своего мироощущения, связанного с профессиональной деятельностью: осмысленности и целеустремленности, оптимистичности отношения к работе и ощущение удовольствия от процесса профессиональной деятельности, наполненности жизни интересными делами. Четвертый фактор «Удовлетворенность организацией и условиями труда», в него с факторной нагрузкой >0,3 входят 11 пунктов. Данный фактор отражает удовлетворенность респондентов организацией, в которой они работают, условиями труда, оплатой, коллективом и качеством менеджмента. Пятый фактор «Неудовлетворенность профессиональным выбором», в него с факторной нагрузкой >0,3 входит 21 пункт и отражает оценку респондентами соответствия профессии их личностным особенностям: характеру и способностям. Шестой фактор «Профессиональная востребованность: признание близких и коллег» R (перевернутая шкала), в него с факторной нагрузкой >0,3 входят 19 пунктов. Он отражает оценку респондентов собственной авторитетности и признанности среди коллег по работе и близких людей, а также ощущения профессиональной востребованности и полезности для других людей. Седьмой фактор «Открытость новому в профессиональной сфере: оценка устремленности к профессиональному развитию», в него с факторной нагрузкой >0,3 входят 16 пунктов, которые отражают оценку респондентов собственной устремленности к профессиональному развитию, открытости новому в профессиональной сфере. Восьмой фактор «Профессиональная мотивация» R (перевернутая шкала), в него с факторной нагрузкой >0,3 входят 10 пунктов. Он отражает то, насколько профессиональная деятельность респондента является средством реализации значимых для него мотивов: получения удовольствия, занятия любимым и интересным делом, реализации личных ценностей, карьерных планов, развитию личности, достижению жизненных целей. Для проверки различимости 8–ми факторов был проведен межфакторный корреляционный анализ (табл. 2). Все факторы имеют слабые и средней силы корреляции между собой, что свидетельствует о хорошей различимости для респондентов этих факторов. Факторы №5, №6 и №8 имеют обратную корреляцию, что согласуется с их смыслом. Регрессионный анализ (8F Model) профессионального благополучия с использованием пошагового метода отбора лучшей модели предикторов зависимой переменной дал модель с 5 предикторами и процентом объясненной дисперсии зависимой переменной (R²=0,552), достаточным для построения полноценной теоретической модели профессионального благополучия (табл. 3). Данная модель предикторов профессионального благополучия имеет высокий показатель R², что хорошо объясняет общую часть (55%) дисперсии зависимой переменной, и имеет более равномерную, чем в предыдущей модели (6F Model), распределенность Бета– коэффициентов, что говорит о большей содержательной сбалансированности модели предикторов на основе 8F Model. Результаты. В результате сравнения двух моделей предикторов профессионального благополучия 8F model оказалась несколько лучше, так как она имеет более высокий показатель R² (6F Model: 5 предикторов с R²=0,531 и 8F Model: 5 предикторов с R²=0,552). Однако, если о 3–х предикторах обеих моделей можно говорить, как о тождественных (межфакторные корреляции: «Профессиональная мотивация» (r=0,938), «Поток в профессиональной деятельности» (r=0,859) и «Удовлетворенность организацией и условиями труда» (r=0,901)), то оставшиеся четыре предиктора, имеют существенные смысловые отличия. Регрессионный анализ 8–ми факторов из 8F model и 3–х факторов из 6F Model (F4 – «Удовлетворенность проф. выбором», F5 – «Удовлетворенность процессом и содержанием работы» и F6 – «Оценка проф. реализации: мастерство и проф. идентичность»), с использованием пошагового метода отбора лучшей модели предикторов зависимой переменной, дало модель с 6 предикторами профессионального благополучия c высоким показателем R² (R²=0,559) (табл. 4). Модель: 6 предикторов R²= 0,559 Unstandardized oefficients Standardized coefficients t Sig. Полученная модель объясняет 56% процентов дисперсии зависимой переменной, что является хорошим результатом, свидетельствующим о содержательной адекватности новой модели, а равномерность распределения Бета коэффициента, свидетельствует о качестве выбора факторной структуры и содержательной сбалансированности предикторов зависимой переменной (профессионального благополучия). Кроме того, критериальная валидность новых предикторов подтверждена сильными, часто до степени смешения в сознании респондентов, корреляциями с факторами и глобальными показателями различных методик, вошедших в исследовательский пул. В результате обработки полученных данных рабочее определение профессионального благополучия скорректировано: профессиональное благополучие – интегральный показатель состояния позитивного психологического функционирования человека в профессиональной сфере, связанный с субъективной оценкой 6–ти различных измерений профессиональной жизни (предикторы профессионального благополучия): поток в профессиональной деятельности; удовлетворенность организацией и условиями труда; профессиональная мотивация; удовлетворенность профессиональным выбором (соответствие профессии характеру и способностям человека); удовлетворенность профессиональной жизнью: осмысленность профессиональной деятельности; оценка профессиональной реализации: мастерство и проф. идентичность. Обсуждение. Корреляционный анализ подтверждает сильную прямую связь (r=0,510) между зависимой переменной нашего исследования и общим показателем профессионального благополучия по методике (МОПБ) Е. И. Рут (2016). Однако эти два конструкта не тождественны. На наших данных, модель предикторов созданная на основе факторов по методике (МОПБ) Е. И. Рут (2016) дает только 31% объяснения дисперсии зависимой переменной, что явно недостаточно для построения содержательно полноценной модели профессионального благополучия. Также в нашей модели имеется акцент на значимости организационно–контекстного фактора «Удовлетворенность организацией и условиями труда», одним из аспектов которого является «Позитивные отношения с коллегами» (один из факторов модели Е. И. Рут). Однако смысловое содержание этих факторов также существенно отличается. Отличие существенное, так как в модели Е. И. Рут, как и в модели C. Ryff, в качестве предикторов «психологического благополучия» исследовались определенные качества личности, однако, когда речь идет о профессиональной сфере в силу вступает так называемый «psychological contract» (C. Argyris 1960, D. M. Rousseau 1989, J. Coyle–Shapiro 2008) — неявная система взаимных ожиданий и представлений между работником и работодателем. Это означает, что при оценке профессионального благополучия необходимо учитывать не только внутреннюю организацию личности, но и внешние условия: организацию и условия труда. Отдельно отметим фактор «Поток в профессиональной деятельности», присутствующий в нашей модели в качестве предиктора профессионального благополучия и отсутствующий в модели Е. И. Рут. Кроме того, фактор «автономность в профессиональной деятельности» из методики Е. И. Рут, на наших данных, имеет отрицательный Бета– показатель (–0,108), что говорит о его обратной связи с профессиональным благополучием. Такая ситуация требует значительной переработки концепта «автономность в профессиональной деятельности». В противном случае получится образ профессионала, игнорирующего профессиональные стандарты, мнения и рекомендации коллег, как это и произошло в методике Е. И. Рут. Практически все модели, связанные с подходом «Job satisfaction» (Vroom, 1964; Hackman & Oldham, 1975, 1980, 1991; Karasek et al., 1998; Campion & McClelland, 1991; P. E. Spector, 1997; F. P. Morgeson, S. E. Humphrey, 2006) исходят из предпосылки, что именно организационно–контекстные факторы определяют поведение и мотивацию, и не учитывают индивидуально–профессиональные и индивидуально–личностные факторы. На наших данных не подтверждается предположение о достаточности концепта «удовлетворенность трудом» как интегративного показателя, отражающего благополучие личности в профессионально–трудовой деятельности, для операционализации профессионального благополучия, высказанное Р. М. Шамионовым (2008). На наших данных, фактор «Удовлетворенность организацией и условиями труда», сходный до степени смешения по своему содержанию (межфакторная корреляция: r=0,851; r=0,891) с общим показателем «удовлетворенность трудом» из методики «Диагностика удовлетворенности трудом» Т. Ивановой (2012), оказался в качестве одного из 5–ти значимых предикторов профессионального благополучия, что свидетельствует о том, что конструкт «профессиональное благополучие» является метаконтекстом для конструкта «удовлетворенность трудом». Имеется некоторое сходство двухкомпонентной (когнитивный компонент: Удовлетворенность жизнью и эмоциональный компонент: Баланс аффекта) модели «субъективное благополучие» (E. Diener, 2009) с двухфакторной моделью нашего исследования (F1 – «Удовлетворенность профессиональной жизнью»; F2 – «Поток в профессиональной деятельности»). Однако, в отличие от модели «субъективного благополучия» (E. Diener, 2009), фактор «Поток в профессиональной деятельности» является самостоятельным метакогнитивным, а не эмоциональным феноменом. Существует еще одно существенное отличие: Т. Иванова рассматривает вовлеченность в работу (UWES: W. B. Schaufeli, A. B. Bakker, 2003) либо как один из аспектов удовлетворенности трудом (удовлетворенность процессом или содержанием рабочей деятельности), либо как ее эмоциональное следствие. Однако, предиктор «Поток в профессиональной деятельности», схожий до степени смешения с компонентами UWES (W. B. Schaufeli, A. B. Bakker, 2003), а также «Удовлетворенность организацией и условиями труда», оказались самостоятельными факторами, выделенными в самых простых факторных моделях и сохранивших свою устойчивость на высоких уровнях факторизации, что говорит о хорошей дифференциации в сознании респондентов данных феноменов и ставит их на один уровень иерархии. Выводы. На основании результатов эмпирического исследования профессионального благополучия можно сделать следующие выводы. Профессиональное благополучие не сводимо к «удовлетворенности трудом» или определенному набору «личностных качеств» и включает в себя не только организационно–контекстные и индивидуально–личностные, но и индивидуально–профессиональные компоненты (поток в профессиональной деятельности, профессиональная мотивация, удовлетворенность профессиональным выбором). Сравнительный анализ показал сходство 8–ми и 6–ми факторных моделей предикторов (6F model: 5 предикторов с R²=0,531 и 8F model: 5 предикторов с R²=0,552), однако вторая модель имеет более высокий процент объясненной дисперсии зависимой переменной, а интегральная модель, построенная на основе предикторов этих двух моделей, объясняет 56% дисперсии профессионального благополучия, что является достаточным показателем содержательной адекватности теоретической модели. Обе модели объединяет то, что они показали значимость 3–х ключевых предикторов профессионального благополучия: «поток в профессиональной деятельности», «профессиональная мотивация», «удовлетворенность организацией и условиями труда». Особым метакогнитивным феноменом является «поток в профессиональной деятельности», не сводимым ни к аффекту, ни к личностным качествам, что существенно отличает модель, построенную на наших данных, от моделей эвдемонического и гедонистического благополучия. В целом полученная нами модель достаточно хорошо отражает все многообразие феноменов, интегрированных в концепт «профессиональное благополучия», а предикторы новой модели хорошо согласованы с различными подходами к изучению профессионального благополучия. Перспективой дальнейших исследований является формирование опросника профессионального благополучия, а также изучение структуры и динамики изменений каждого из предикторов профессионального благополучия в зависимости от конкретного профессионального контекста. 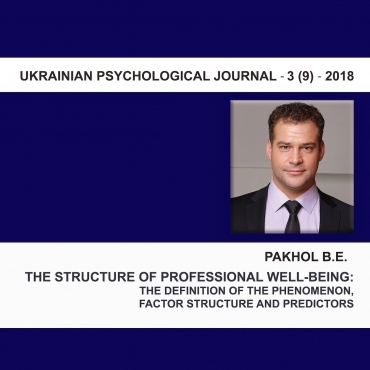 Pakhol B. E. Professional well–being an overview of key concepts and scientific research of the phenomenon / B. E. Pakhol // Український психологічний журнал : збірник наукових праць / головн. ред. І. В. Данилюк : КНУ імені Тараса Шевченка. – К., 2017. – No 2 (4). – 107–140 с.
Ryff C. D. Psychological well–being: Meaning, measurement, and implications for psychotherapy research / C. D. Ryff, B. Singer // Psychotherapy and Psychosomatics. — 1996. — № 65. – P. 14–23. Berezovskaia, R. A. (2016). Professionalnoe blagopoluchie : problemy i perspektivy psikhologicheskikh issledovanii [Professional well–being: problems and perspectives of psychological research]. Psikhologicheskie issledovaniia : (elektron. nauch. zhurn.) [Psychological research: (electronic. Sci. Journal)], 9 (45), 2, URL: http://psystudy.ru/index.php/num/2016v9n45/1232–berezovskaya45.html (rus). Ivanova, T. Iu., Rasskazova, E. I., Osin, E. N. (2012). Struktura i diagnostika udovletvorennosti trudom : razrabotka i aprobatsiia metodiki [Structure and Diagnosis of Job Satisfaction: Development and Approbation of the Methodology]. Organizatsionnaia psikhologiia [Organizational Psychology], 2(3), 2–15 (rus). Pakhol, B. Е. (2017). Professional well–being an overview of key concepts and scientific research of the phenomenon. Ukrainian Psychological Journal : collection of scientific works / chief. red. I.V. Danilyuk : Taras Shevchenko National University of Ukraine, 2 (4), 107–140. Diener, E., Lucas, R., Oishi, S. (2002). Subjective well–being : The science of happiness and life satisfaction. In C. R. Snyder & S. J. Lopez (Eds.). The handbook of positive psychology. New York : Oxford University Press, 63–73. Ryff, C. D. (1996). Psychological well–being : Meaning, measurement, and implications for psychotherapy research. Psychotherapy and Psychosomatics, 65, 14–23. Schaufeli, W. B., Bakker, A. B. (2003). 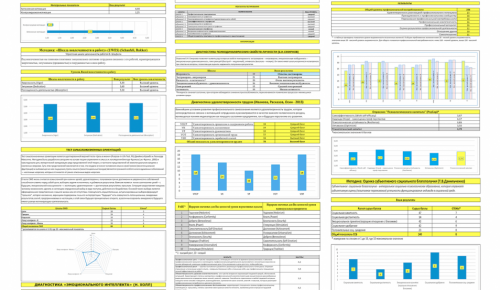 Utrecht Work Engagement Scale : Preliminary Manual. Department of Psychology, Utrecht University, The Netherlands (available from schaufeli.com), 58.